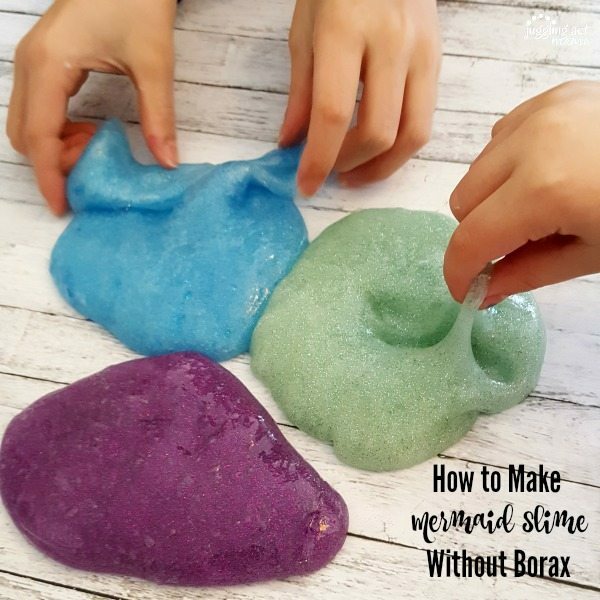 We’re going to share with you DIY Slime Without Borax, for a safer magical mermaid slime experience! 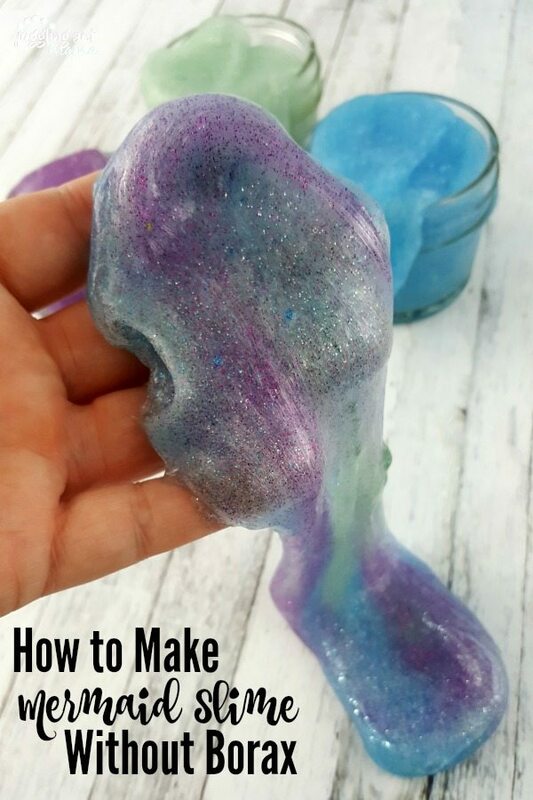 It’s easy to make your own slime and we have a tutorial for How to Make Mermaid Slime Without Borax your kids will love. 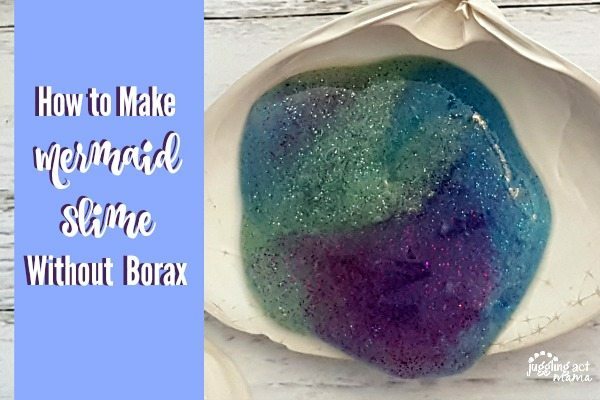 If you’re looking for how to make mermaid slime without borax, you can use contact solution. It contains trace amounts of boric acid, which is considered safe for children to use because of the small amount needed. Of course, adult supervision is important for making and playing with slime, especially for younger children. We do not recommend slime for children under the age of 3. Always wash your hands after making and playing with slime. My kids literally played with this slime for hours when we made it! Keep in mind that the more it is played with, the less vibrant the colors will be. Eventually they’ll all mush together into a slivery-grey blob. Check the date on your baking soda. Do not use expired baking soda as the mixture will not come together. Using clear glue gives you more vibrant colors. Store slime in a container or resealable bag. What Are the Supplies You Need to Make Slime? 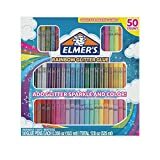 Note: I purchased this Elmer’s Rainbow Glitter Glue Pen Set from Amazon, which has a wide variety of colors. If you make a lot of slime, this is a great way to go. What Kind of Contact Solution Should I Use for Slime? Not all contact solutions will work so be sure that you’re using on containing borate or boric acid. Without that ingredient, the slime will not come together correctly. 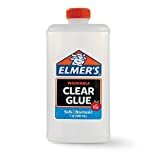 Can You Use a Glue Stick to Make Slime? I have not personally tested this method, therefore I cannot recommend it. You will also need 3 bowls, and some spatulas or spoons. 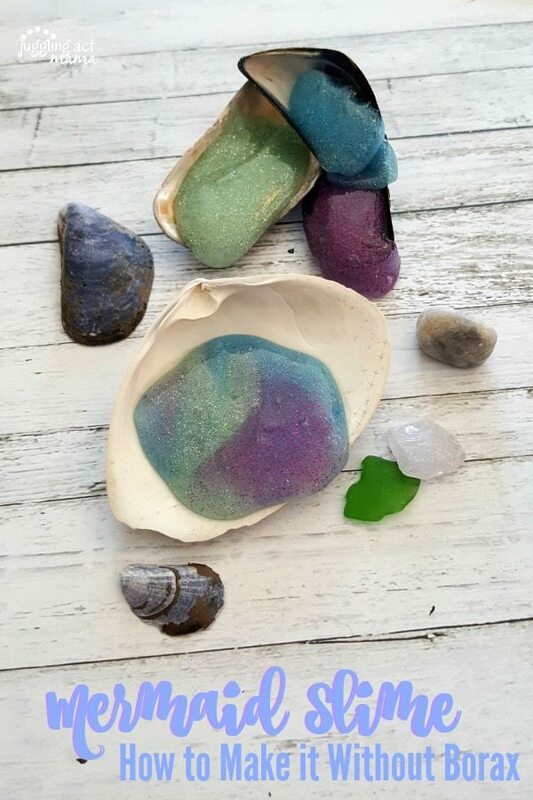 In a small bowl, mix together 5 ounces of clear glitter glue with the baking soda and contact solution and the food coloring. Add the glitter glue and mix to combine. If the mixture doesn’t stick to your hands, it’s mixed well enough to be kneaded by hand. Repeat the process for the other colors. Gently fold the three colors together. Add a little additional contact solution if the slime is too sticky. 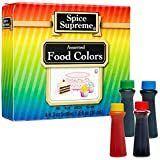 The more the colors are mixed together, the less vibrant the color will be. To revive older slime, try adding just a little water. If that doesn’t work, you’ll need to make a new batch. Use pink glitter glue to make pink slime. Add 2 tablespoons gold glitter to the mixture. 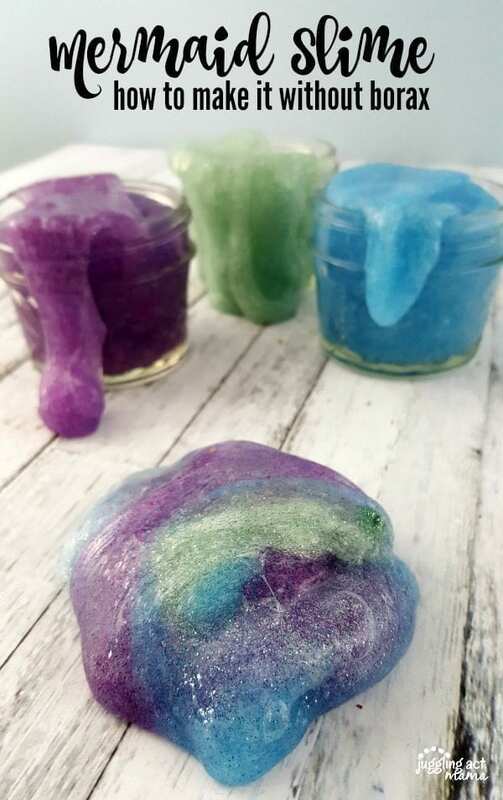 Pull together the pink and gold glitter slime with the green, blue, and purple slime for a unicorn mixture. Instead of making green slime, use black glitter glue to mix up black. Add in about 2 tablespoons of silver glitter to the mixture. When the purple and blue are twisted with the black, you’ll have something that resembles the galaxy! This is a super fun addition to a Star Wars birthday party. 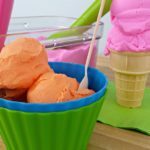 Make a DIY Slime Kit Gift! If you’re looking for a fun birthday gift, this set makes a great present! 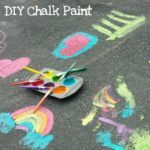 To make a DIY slime kit, just pick up some baking soda, food coloring (optional) and contact solution and you have all the things needed to make sparkly slime. 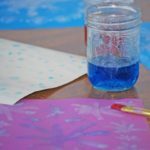 Easy Fluffy Slime – Sugar Spice and Glitter – with just three ingredients, an no borax, this is also a super fun project for the kiddos. Super Duper Bubble Recipe – Budget 101 – if your kids love bubbles as much as mine do, you have to check out this awesome recipe! How to Make a Seashell & Sea Glass Wind Chime – Hearth & Vine – here’s another beachy project that makes an especially nice vacation keepsake. How long does the slime last I’d sealed up in an air tight container? Great question… I guess it depends somewhat on how often your child plays with it. My kiddos play with it constantly, so a batch typically lasts a couple weeks at the most.